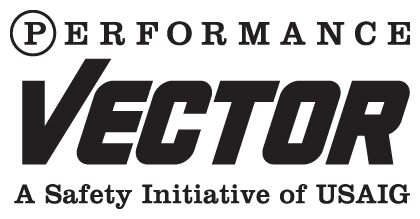 New York, NY (Sept. 22, 2015)… USAIG proudly welcomes Aviation Performance Solutions LLC (APS), a global leader in Upset Prevention and Recovery Training, to its Performance Vector safety initiative. Performance Vector delivers valuable, forward-looking safety support and is available to USAIG policyholders who insure turbine-powered aircraft or place multiple policies with USAIG. Eligible policyholders can choose annually from a range of safety enhancing programs and services delivered by the industry’s leading providers. Foundational to the training delivered by APS is having a cadre of expert instructors teaching in strict compliance with a loss of control in-flight (LOC-I) curriculum that is aligned with the latest ICAO and FAA guidance, best practices, and standards. To generate enduring, life-saving skills, APS combines multiple flight sorties of practical UPRT instruction with focused academics to develop pilots’ ability to recognize, prevent and recover from virtually any recoverable airplane upset, unusual attitude or escalating stall/spin condition. APS is an IS-BAO registered Part 141 Flight School with a rigorous quality assurance program ensuring the highest degrees of professionalism and standardization in delivery of its training programs. Selectors of this option have tuition covered for one pilot to attend the course at APS’s Phoenix or Dallas location. Approximately 8 hours of instructor-led classroom instruction are provided covering stall and airplane upset aerodynamics; precursors; recognition, prevention and recovery techniques; spin awareness and recovery techniques; and instrument upset recognition and recovery techniques. Three flights are flown in an Extra 300L aircraft with an expert APS UPRT instructor pilot during the training syllabus. Upgrades to more advanced courses are also available through APS. The APS Business Jet Recovery Training app integrates leading industry information on mitigating the Loss of Control In-Flight (LOC-I) based on the Airplane Upset Recovery Training Aid (AURTA). Industry guidance has been organized into an efficient 8-module e-learning structure plus several additional modules by APS. The e-learning is augmented by enhanced learning tools to include updated charts, video training and animations of more complex concepts. The application is compatible with popular mobile platforms such as iPad and MS Surface tablets and has been added to a roster of courses available for combination into a 5-course Performance Vector e-learning package. “APS is a proven leader in UPRT, working to illuminate the threat and define best practice defenses against loss of control in-flight with aviation trade and regulatory groups across the globe. I am delighted that we now offer world class APS training, which powerfully advances pilots’ manual handling skills and embeds lifesaving techniques to recognize and recover from airplane upsets, to our policyholders.” said David McKay, USAIG President and CEO.